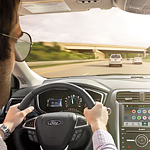 If you prefer owning a vehicle that comes fully outfitted with an array of driver-assist technologies, it’s time to find out what the Ford Co-Pilot360 program has to offer. 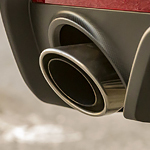 This cutting-edge safety system is designed to protect a vehicle and its occupants in front, in back and everywhere in between, and the team at Plantation Ford is standing by to tell you more. 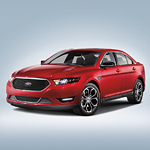 The Ford Taurus is a popular full-size sedan with sleek interior styling and all the comfort you can ask for in a car. Amenities include heated and cooled front seats, dual-zone climate control and a high-quality stereo system with surround sound. 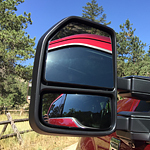 What should someone like you look for when you are shopping for a pickup truck? When you are looking for the perfect heavy-duty choice, what do you need to get from that vehicle? You should try to find a durable pickup, something like the popular heavy-duty option that is the Ford Super Duty. The Ford Transit Passenger Wagon combines comfort with dynamic design features, ensuring that drivers and passengers enjoy every ride. This popular full-size passenger wagon is equipped features that optimize driving experience, like the tilt and telescoping steering column, and features that enhance passenger seating, such as the class-best interior height. Here at Plantation Ford, we are proud to help our friends and neighbors find the right vehicle for them. For drivers who are searching for a new compact SUV, that right vehicle is often the Ford EcoSport. This popular vehicle is packed to the brim with capability features that allow it to handle anything that life throws at it. We have been especially impressed with the EcoSport's fantastic automated stop-start technology. This system automatically shuts the vehicle's engine off when stopped at a traffic light and starts it up again when it is time to get going. 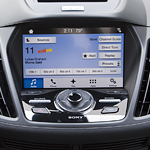 Try Out the Technology Features in the Ford Escape! At Plantation Ford we are impressed with the Ford Escape technology features and are ready to discuss all of the perks of owning an Escape. 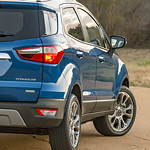 In a place like Plantation, the Ford Escape is a popular crossover because it has features like enhanced active park assist and adaptive cruise control. For drivers in the market for a three-row midsize SUV, the new Ford Flex is a superb option. This vehicle offers all of the reliability and performance that you would expect from a Ford and is simply jam-packed with helpful convenience features. 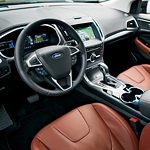 The 2019 Ford Edge has a laundry list of advanced new driver assistance features, making it one of the safest midsize SUVs in its class. The price is just right for those who want something spacious and performance-driven, but it can still take the daily commute around town. The Edge is just that. 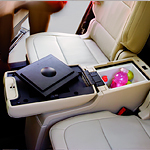 The body style is sleek and sporty, but the interior has the most features ever for an Edge standard trim.